I've never really fit into the traditional color scheme for beauty. I'm not fair but I'm also not very dark. I'm sort of olive skinned, sort of Asian, often mistaken for Hispanic. Just not "white." Of course, I'm too pale for most cosmetics meant for African American women. It's a little annoying. 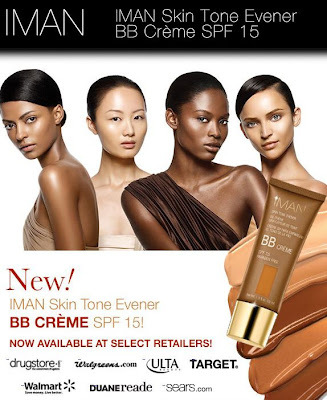 That's why I was happy to receive a sample of IMAN Skin Tone Evener BB Crème. Unlike other brands, IMAN Cosmetics offers a wide range of shades that work for almost every skin tone. Not just light/medium/dark. 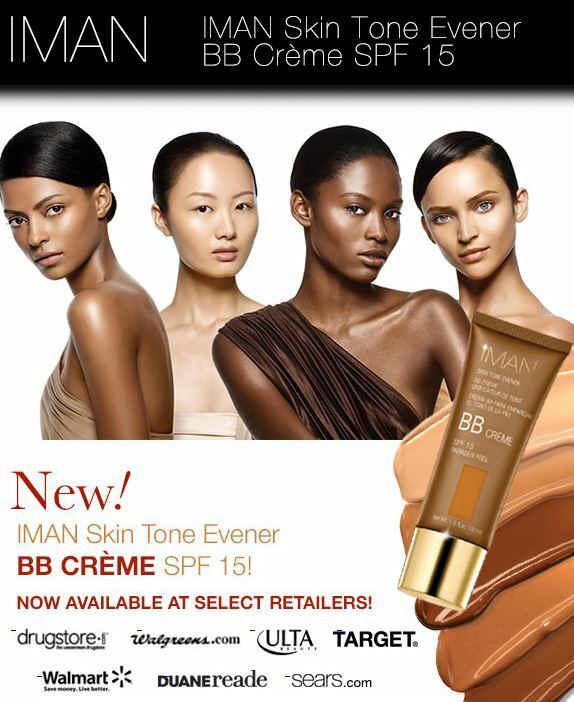 In the IMAN range, my skin tone is Sand 2-3. IMAN BB Crème is a little denser than other BB creams I have tried but I think that makes it go on more smoothly and cover up flaws better. 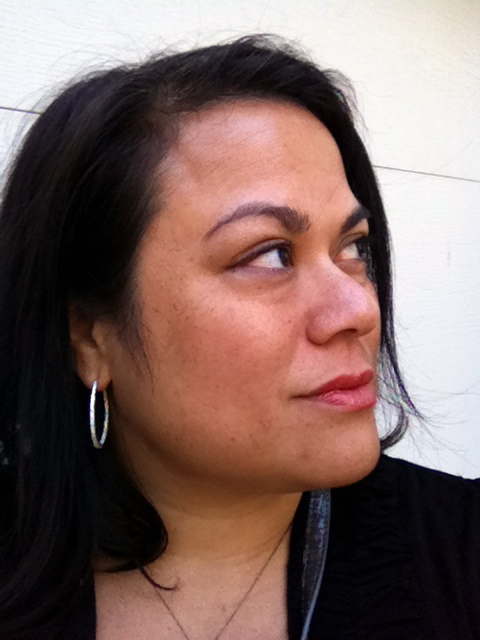 It has a very blendable consistency and leaves a soft, dewy finish to the skin. My skin actually feels softer after having used it and I have had no breakouts. Yay! I also received a powder blush and lipstick in saffron- shades I never would have picked out for myself but I was pleasantly surprised!